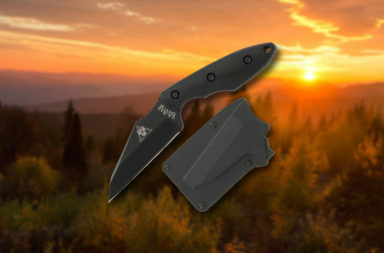 This video review was sponsored by and provided by Smoky Mountain Knife Works – smkw.com. Preparedmind101 (Chris Tanner) is a YouTube channel devoted to examining the gear and thinking associated with all types of preparedness. Wilderness Survival and Preparedness, Bushcraft, Urban Survival, Preparedness Thinking, Gear Reviews, etc. SMKW is the proud channel sponsor of Preparedmind101. Here you’ll find items reviewed by Chris Tanner. This is his channel https://www.youtube.com/user/preparedmind101/ and these are his reviews. 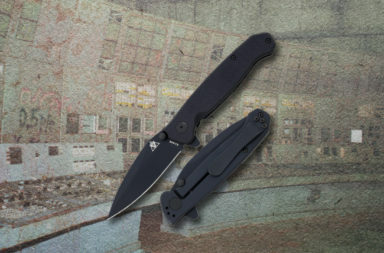 The BK-62 KEPHART has a solid one-piece design featuring a 5.125″ straight edge blade constructed of 1095 Cro-Van steel with an HRC hardness rating of 56-58 which has been flat ground providing a sharp cutting edge with excellent edge retention. The three bolt scales made of Walnut with natural wood grain appearance providing the user a smooth and well-controlled handle. The overall length of the KEPHART is 9.688″, has a blade thickness of 0.158″ and a blade width of 1.25″. This knife comes with a brown leather belt loop sheath. This knife is made exclusively in Olean, New York U.S.A. and proudly blade etched with the Becker Knife & Tool / KA-BAR brand name. 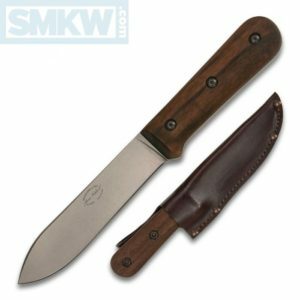 If you’re interested in purchasing a Ka-Bar Becker Kephart, click any link in this article or the button below.